Catering to the needs of our business and leisure guests, our hotel offers these amenities to make your stay with us more comfortable. 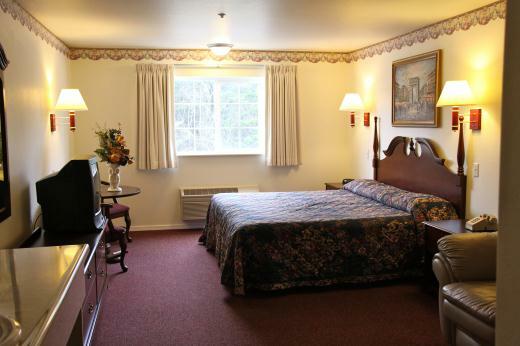 We provide graciously decorated rooms with combinations of queen beds, king beds; some with a jacuzzi bath and/or fireplace. 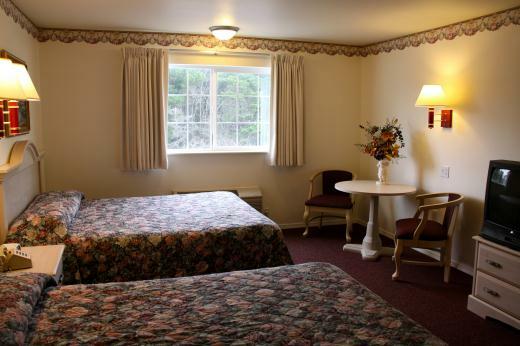 For large families, we offer two-room suites. 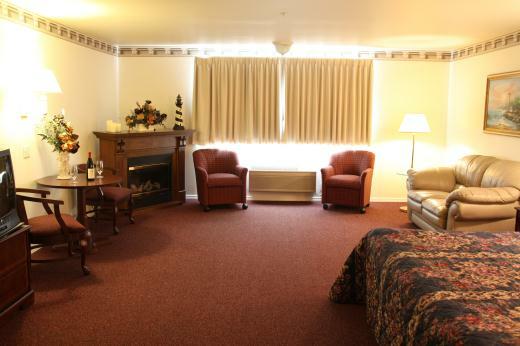 Rates* start at $89 for a king, $145 for fireplace suites, and $129 for 2-room suites. 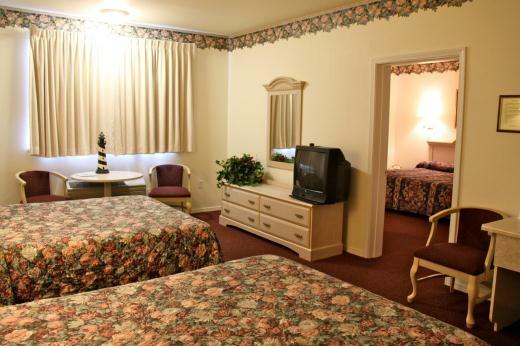 All rooms have a refrigerator, microwave and coffee maker, blow dryers and ironing equipment. 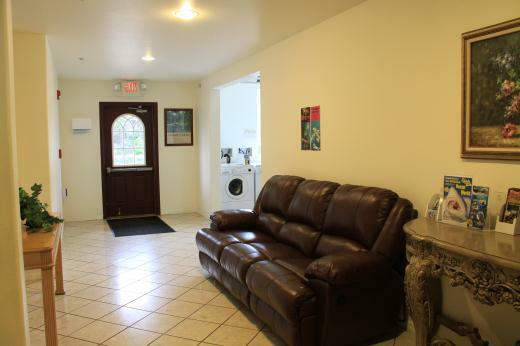 There is a self laundry room for those little emergencies or extended stays. 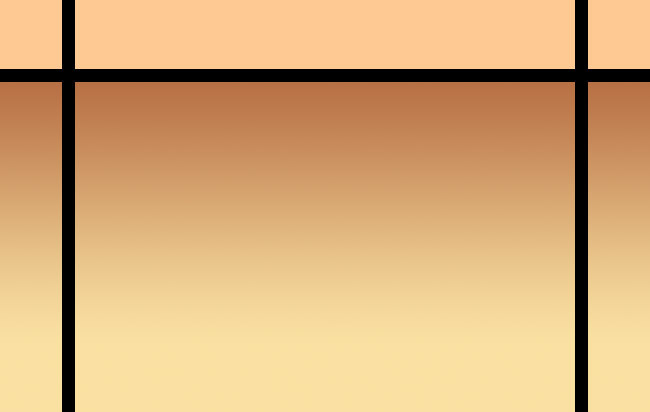 So you'll always remain in touch, we provide a dedicated computer room, with a computer and printer. Fax service is available. 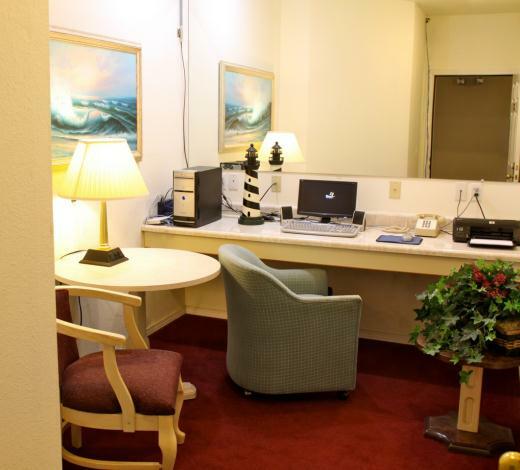 The hotel has complimentary wireless internet in all rooms. Self parking is free. 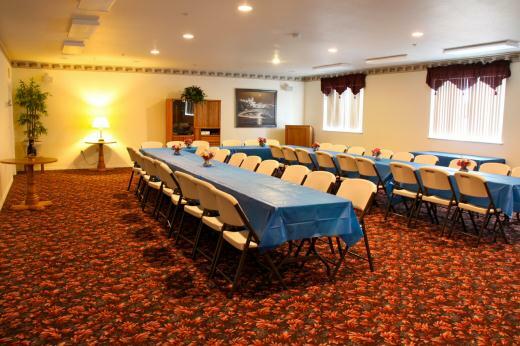 We provide services and rooms for our patrons with limited physical abilities. Our conference room accommodates up to 75 persons and has audio equipment and surround sound speakers. 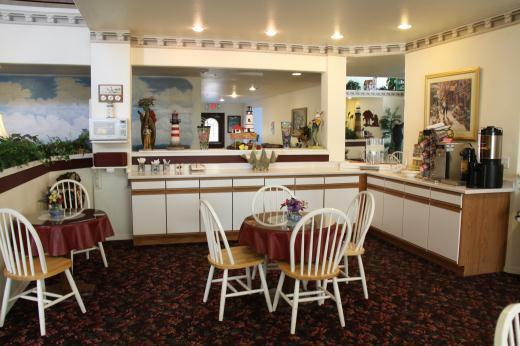 There is an adjoining restaurant, plus additional restuarants within walking distance. Our staff will happily make recommendations. Lastly, we offer a complimentary continental breakfast of breads, muffins, coffees, teas, cocoas, fruits and cereals and juices.